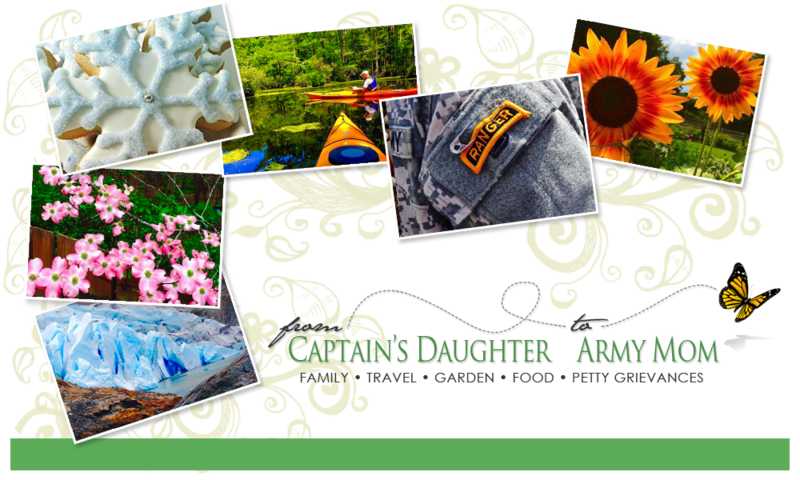 From Captain's Daughter to Army Mom: I'm getting CLEAN... And, so can you, (a give-away)! I'm getting CLEAN... And, so can you, (a give-away)! I've got some incredible news to share with you! You already know that I've been working the CLEAN program to assist me in my effort to lose weight. I first told you about it here. I learned about CLEAN through my faithful following of Gwyneth Paltrow's blog, GOOP. Before I even finished reading this post wherein Ms. Paltrow outlined the benefits of a diet, (and exercise) program that includes a CLEAN breakfast shake, I had already ordered my first shipment of MOVE and NOURISH powders to begin blending my own morning shakes. Not only because Gwyneth Paltrow said these products work for her, but because after reading the information about their programs on the CLEAN website and watching the clip of Dr. Junger's appearance on the Martha Stewart show, I realized this could be the natural, clean... no pun intended, program I've been waiting for! Almost every morning since June 1st, I've blended a CLEAN shake consisting of one scoop of NOURISH, one scoop of MOVE, together with a handful of frozen blueberries or raspberries and 6 ounces of water and 2 ounces of unsweetened Almond Breeze. You could also blend this shake with 8 ounces of water or a full eight ounces of Almond Breeze, or Silk, if you prefer. During the day, I hydrate and eat only if I am truly hungry. In the evening, and always before 7PM, I have a balanced, healthy meal. From day one the most incredible thing happened... I am NEVER hungry during the day. The CLEAN breakfast shake keeps me satisfied, (and energized) all day, until I have my dinner. Not once have I experienced those nasty, (junk food) cravings I've struggled with on other weight loss plans. Now that's not to say a Pepsi-addict like me didn't suffer a couple days of uncomfortable caffeine withdrawal; because remember, I don't drink coffee, and since I am allergic to artificial sweeteners, (no sugar-free Jell-O for me!) diet sodas are out of the question for a quick caffeine fix too. And, it surely doesn't mean a stress-eater like me didn't experience any stress either. Remember, my son was deployed! Nevertheless, since the initial caffeine detox, it's been smooth sailing ever since. And when I say, smooth, I mean that in a couple different ways... You see, the MOVE (fiber) powder in my CLEAN breakfast shake literally keeps my tummy feeling groovy and things mooooving through my system, which quite frankly is an aspect of wellness completely overlooked by other programs I've tried. Oh, and my results? Well, I'm down 51 pounds! This time on CLEAN, (June 1 - today) also included a full week off the CLEAN plan while we traveled to see the Ranger upon his return from deployment - As well as a few off-plan days due to early June social obligations, where I wasn't as strict in my planning and meal ordering as I could have been. Today though, my results keep me chasing even greater weight loss success. Also the fact that I truly don't want to cheat on my morning CLEAN shake, which works so hard and does so much to keep me feeling fully alive and energized all day, just naturally keeps me on track. This is going to sound corny, so forgive me, but CLEAN works hard so I don't have to. There, I said it! In addition to what CLEAN products have done for me, joining the CLEAN, on-line support community keeps me motivated and learning about the many ways CLEAN can become my way of life; not just a temporary solution to a, (weight) problem. Any way, last week while placing an order for more MOVE and NOURISH powders, I got to chatting with one of the super-Friendly, helpful and knowledgeable CLEAN phone ordering staff members about how much I am enjoying the program. And... Much to my surprise, she offered to put me in touch with CLEAN's head wellness coach, Jenny. Talk about knowledgeable and helpful, Jenny is Incredible! As we exchanged e-mails, Jenny suggested I might benefit from the CLEAN 21-day Detox Kit. Yes! The CLEAN 21-day Detox Kit everyone is raving about - Jenny was offering it to me, with her compliments!! And, when I told Jenny about all of you and my Blog, where I've mentioned CLEAN, Jenny agreed to provide me with a second CLEAN 21-day Detox Kit to give away! Now tell me... Just how Fantastic is that?! Before I agreed to accept Jenny's offer to try the CLEAN 21-day Detox cleanse kit, I spent hours at the CLEAN website reading information, reviews and testimonials about it. One of the most amazing aspects of the program that convinced me to try the CLEAN 21-day Detox Kit is the fact that it's for people like me... People with a life! Mine is an active life that includes a demanding, full-time job and other obligations and activities which don't permit me to be tied to my bathroom for the duration of a cleanse... Like so many other cleanse programs advise. Nope! On the CLEAN 21-day Detox/cleanse, I get to eat one, yummy lunch-time meal from the CLEAN Elimination diet plan, which even includes guacamole! And, I get to snack too, so long as I observe the 12-hour rest period between my last and next meal. And while the objective of the 21-day Detox Kit isn't weight loss, weight loss in many cases is a side-effect of the program. How's that for a happy side-effect?! I believe the fact that I've been following a program that already includes a daily CLEAN breakfast shake and parts of the Elimination diet too, means my system is uniquely prepared for this detox. You may want to take another look at Gwyneth Paltrow's program and order your MOVE and NOURISH powders today, ahead of your CLEAN 21-day Detox Kit. Want to WIN a FREE CLEAN 21-day Detox Kit of your very own? Well then, visit the CLEAN program website and tell me which of the testimonials you identify with the most. Just tell me the name of the person and what about their personal story inspires you to give CLEAN a try. Now for the fine print: *FTC-required disclosure: CLEAN provided me with one, CLEAN 21-day Detox Kit for my personal use for free. All other CLEAN products mentioned in my reviews are products I purchased at full retail price + shipping. 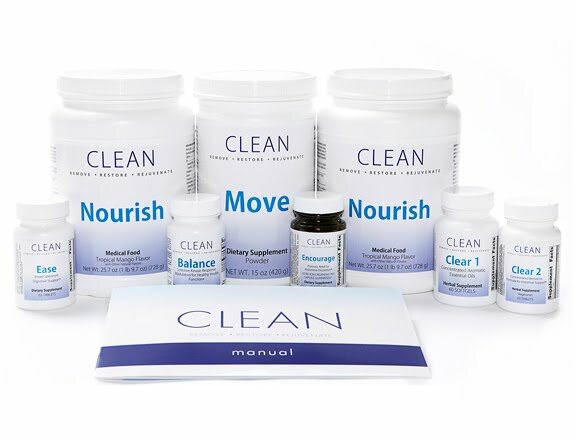 The CLEAN 21-day Detox Kit for this give-away is provided solely by CLEAN. You should always consult your own physician before beginning any wellness or weight loss program. My experience in no way constitutes medical advice or a guarantee of similar or same results. Now for the contest rules: Remember that with your comment, you must complete the comment form to include your e-mail address for contact should you win. If announced winner does not contact me within 24 hours of my notice to them, another winner will be chosen until the prize is awarded. For 3 additional chances to win: TWEET my give-away, Link it to your Facebook wall, and/or mention it on your own blog and send me the link. Just remember to let me know in comments which you've done! PLEASE NOTE: The CLEAN 21-day Detox Kit requires refrigeration and therefore may only be shipped to winner residing within the continental United States. Beginning on Monday 8/30, check back with me, every day if you'd like, to see just how I'm doing on my CLEAN 21-day Detox. At the end of my cleanse program, on Tuesday September 21st, I will announce the lucky, (fabulously lucky!) winner of the CLEAN 21-day Detox Kit provided so generously by The Clean Program. I'm getting CLEAN and Loving it! How about you?! All I've got to say...is this is one GIVE~AWAY I'm not fooling around with! I am SOOOOOOO SERIOUS about winning this! I've GOT To focus here! I sure hope the winner is not going to be chosen by RANDON.ORG!!!!!!!! Please tell me I can do EXTRA~CREDIT to have a better chance at winning this fabulous DETOX program! I'm just so thrilled for you Janet! You my dear...are the TESTIMONY that I love! But I will pop over there and read up! Tell me everything I can do to win this! What about going over to down~town Seattle and holding a BE CLEAN sign up all day on a street corner! Cause I am WAY excited about winning this!!!! And I sure need it with the holidays approaching! And have you been exercising? the person who inspired me was Julia Henriques. I like how she described that it changed her relationship with food. That is a challenge. I can't wait to see how you do!! Randi S comments about carb cravings. They are truly addictive. It is a large challenge for those watching their weight. Janet, I e-mailed my personal feelings to you about this prgoram. Clean is the way to go. American's are full of toxins -- from toxic eating. I won't ramble on because I will fill your blog so full, people will start snoozing at their computers, reading my thoughts. So, I'll save them time to go out and get on the CLEAN program. Keep up the good work, kudos to you. You know how proud I am of YOU! and would LOVE to try this!! 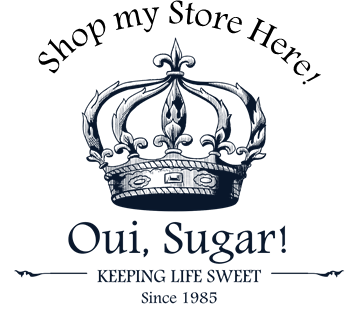 I connected with Amy Hanley "I DON’T CRAVE SUGAR!.. For the first time in my life I feel like I am in control of what I eat." Very cool products!!! I just tweeted your giveaway! Great review! Holy Moly...51 lbs since June 1! I have a million questions....Will read all about it, and ordering today! Congratulations! First, congrats on your amazing weight loss! How inspiring! I love what Leanne said about "most beautiful part of this program is not only a feeling of great lightness in the body but what it does to the mind…"
I am definitely checking this out! Fingers crossed that I win the detox kit!!! I tweeted this FAB Giveaway! I TWEETED Gwyneth about this CLEAN giveaway! Way to rock the Clean Revolution!!! What neat products! I love that Trilogy lost 20 pounds, all while getting healthy! Wow I love your story! Good job!! Lovely to meet (virtually) a fellow Janet! Eliminating carb/snack cravings sounds wonderful... Please consider me entered! Janet I am so proud of you and your dedication to weightloss. 51 pounds?! WOW! That is truly amazing and I know you're going to look like one hot mama on your cruise. While I would consider myself lucky to win this, I think others (Teresa!) would love to win even more than I. Thank you and the folks from CLEAN for this beneficial giveaway! Keep up the great work. Hi Janet, First off congrats on losing 51lbs! Talk about inspiring! Funny thing is on Monday I was actually looking at the Clean website wondering if this is something I could do. Then you appear on Tracy Anderson’s facebook page offering this giveaway and all you have to do is find a testimonial that relates to you…okay so you got me. I’m in! I read all these testimonials thinking, ‘I can do this!’ Not even questioning it but rather when am I going to order this stuff?! I actually found Ria McVeigh’s testimonial close to what I thought about even trying this…will I fail? Is this something I can do? She answered it for me. I loved that she pushed herself to do things she was afraid of doing before…wow, we can all learn something from that. Thank you and Clean for this great giveaway! I'm so excited to have found this giveaway - I've been wanting to do this detox forever! I own the CLEAN program book, but for me, since I don't cook, it's hard to buy all of the foods and do the detox based on the recipes. So, for me, the 21-day kit is the obvious choice. However, it's such a hurdle to save up the money to actually buy this kit. Thank you so much, Janet, for this giveaway opportunity! I relate to Trilogy from the CLEAN testimonial site. She says: "I am feeling physically, mentally, and emotionally fantastic! I have lost twenty pounds, I no longer suffer from intestinal and stomach issues, and for the first time in more years than I can remember, emotional eating doesn’t have a hold on me. Dr. Junger’s Clean Program has been life-changing for me, and I would highly recommend it to anyone who is tired of feeling not quite 100% and seeks to understand the importance that nutrition plays in restoring and maintaining overall health and vitality." This sums up exactly what I'm looking for -- mental clarity, physical energy, and a healthier overall feeling. I,too, never quite feel 100%, and it has a serious impact and on my daily life. The CLEAN method is just what I need to make the change to a healthier lifestyle! My email address is kelly.ragle@gmail.com. Congratulations on your weight loss, Janet, and I hope this guarantees my entry into the giveaway! The testimonial that grabbed my attention is the one from Lauren Brezner. Like Lauren, I have suffered from countless colds, bouts of the flu, bronchitis, sinus infections, and the like, and have ended up on antibiotics time and time again. I am excited by the idea that the Clean Program might help me avoid some of those illnesses, especially with the fall flu season rapidly approaching! I'm so excited for you and all your progress on the Clean Program! That is so fabulous!!!! I love Gwyneth's Website too! Do you have to give up coffee and tea ??? Great job! Way to go!! The article on your blog spoke to me - being able to continue with your life while doing this is fantastic!!! This stuff sounds great! I'd LOVE to win! Way to go Janet! Thank you so much for introducing me to this product! It sounds amazing and I hope I win it! I most identify with Julia H. The Clean program seemed like the next natural step for her and it seems like the next natural step for me. Keep up the great work, what an awesome thing you are doing for yourself! Well I finally had a bit of time to pop over to the testimonies about the CLEAN detox program! I am wanting to order this...TODAY!!!!!!! I love how she said she noticed a difference in her face and SKIN within a week! I am always watching for changes in my face and skin as a result of my eating/diet. I am really hard on myself when my face looks puffy from too much salt! I do not like a PUFFY face! And I love GLOWING skin! When my skin is not glowing...I know something is out of whack! I also can relate to how Leanne described the feeling of LIGHTNESS within a weeks time! I can't tell you how I am craving the feeling of LIGHT~NESS these days! Having been up here in the Northwest and basically hibernating all winter...I have not felt that light~ness since last fall...and it is really really wearing on my self~image. I told Greg yesterday...that I feel worse about my looks than I have in awhile! I just feel weighted...like I have lost my GLOW! And I am desperate to regain it! Leanne is who I relate to! I bet her hair even looks better when she's eating CLEAN!!!! Everything looks better when you are eating CLEAN! I wish I could start on this tomorrow! My sister and best friend are heading to Seattle in 8 weeks and I want to be GLOWING by then! Thanks for the chance to win this incredible gift! Amazing, all the cooking and baking you do and you still have lost 51 lbs. Congrats!! I could relate to Trilogy. I work as a nurse, so having energy and not being tied to the restroom are key to any detox I could consider. This program sounds perfect, !! PICK ME, PICK ME!! Wow this is soo awesome your giving this away! The testimony I related to would be Trilogy Mattson. I am still so young and I shouldn't feel this way about myself. I don't even have time to workout and what not because I go to school & have a full time job. I just want to find a way to feel healthy, energized & happy with myself. PS: Congrats on the 50 pounds! you must feel & look amazing :) Work it girl!